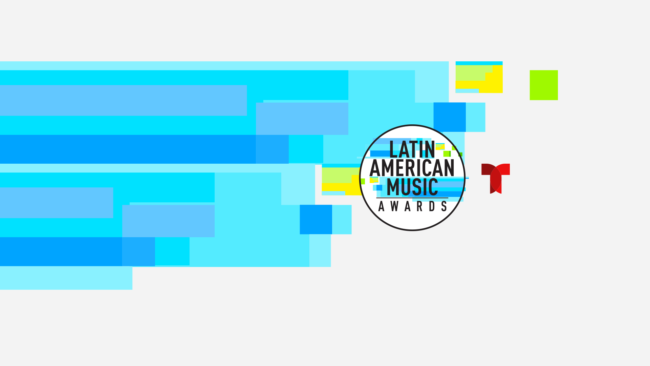 WHAT: Telemundo will announce the nominees for the 2018 “Latin American Music Awards” (Latin AMAs) during the morning show broadcast of Emmy award-winning “Un Nuevo Dia.” The announcement will be simultaneously streamed on the Latin AMA’s and Telemundo Facebook, Twitter and YouTube accounts, and will also be featured on Billboard.com. The celebration will continue throughout the day with additional artist reactions and interviews on “Suelta la Sopa”, “Al Rojo Vivo” and “Titulares y Mas.” The night before, social media influencers Sebastian Villalobos, Mario Ruiz, Paula Galindo and Mario Selman will provide fans with a sneak preview to the nominees of a few categories. The “Latin AMAs” pay tribute to today’s most influential and iconic Latin artists, as voted by the fans in the tradition of the “American Music Awards,” the world’s largest fan-voted award show. The three-hour special showcases performances by artists that are relevant to U.S. Latinos, regardless of language. The awards show will broadcast live from the prestigious Dolby Theatre in Hollywood, California, on Thursday, October 25, 2018 at 8pm/7c, preceded by the one-hour carpet pre-show “La Alfombra de Latin AMAs” at 7pm/6c. • Morning Show “Un Nuevo Día,” hosted by Marco Antonio Regil, Rashel Díaz, Adamari Lopez, and Hector Sandarti.